ahhh… childhood. this morning, i was biking to work on my usual route through the civic center. when passing the opera, i heard a commotion and alas, saw a group of children, all excited, guided by their teachers, for a full day of fun and leisure. 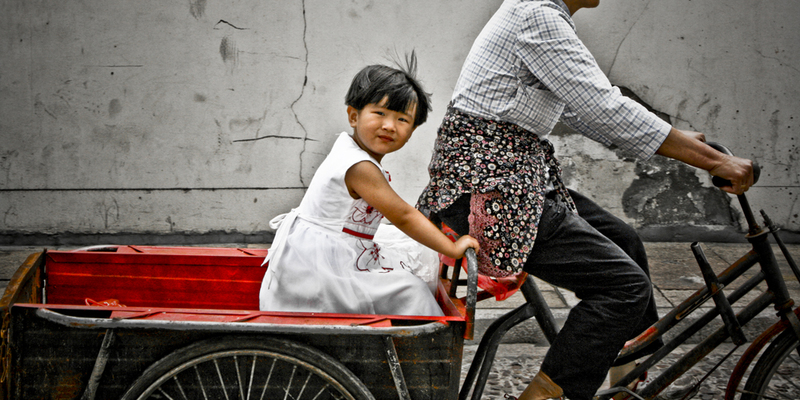 seeing this little girl being driven by her mom in zhu jiao jiao, what some people call the venice of china, reminds me of the beauty of a carefree life, a simple existence, a pure mind. being a child inside every day is one of my goals. to receive every day as a gift, as it surely is. to quote sigur ros, the best thing god has created is a new day.